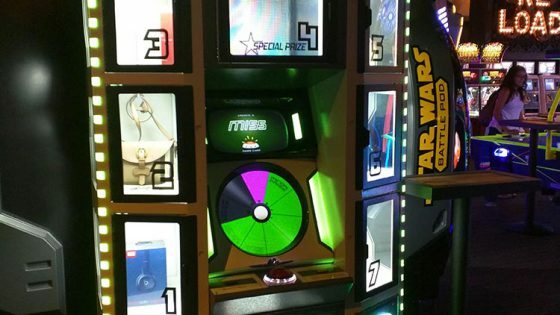 Its not your average merchandiser with its unique and entertaining game play, retro styling and design with seven secure prize lockers for Major Prizes and six spiral vending arms and a ticket dispenser for Minor Prizes, this small footprint Color Match packs in a lot of attraction for players. 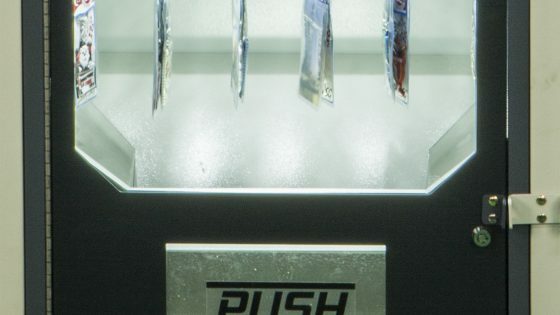 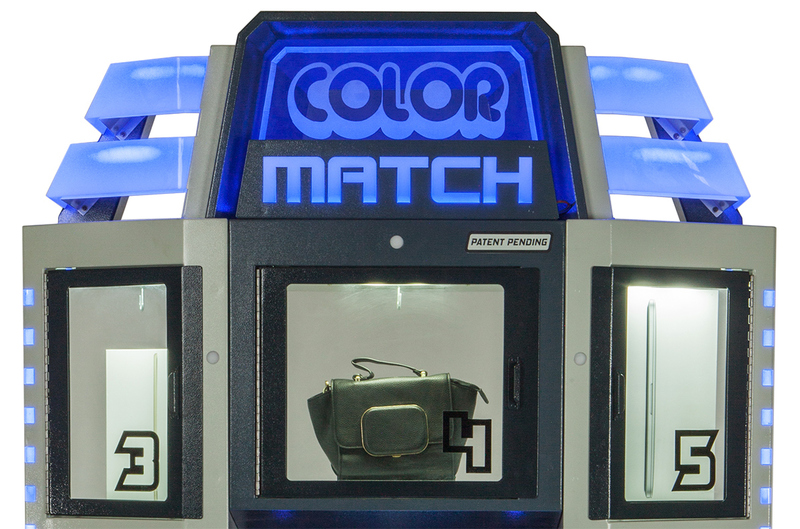 Color Match offers fully adjustable on-screen operator settings, with a payout calculator built in to manage your desired payout based on the value of your prizes. 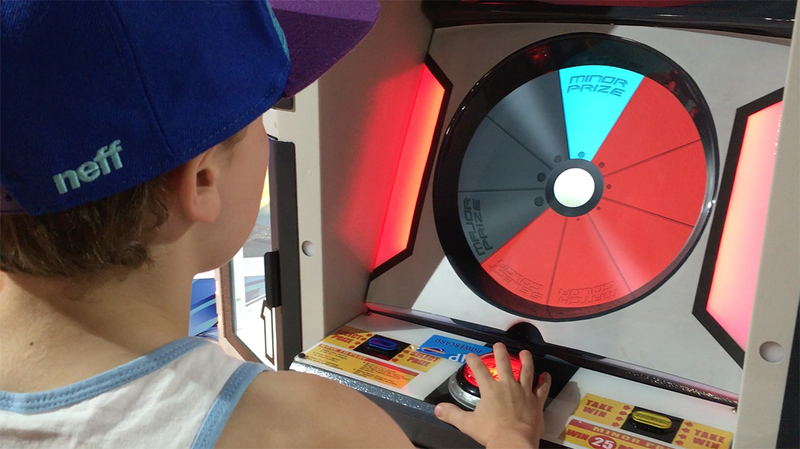 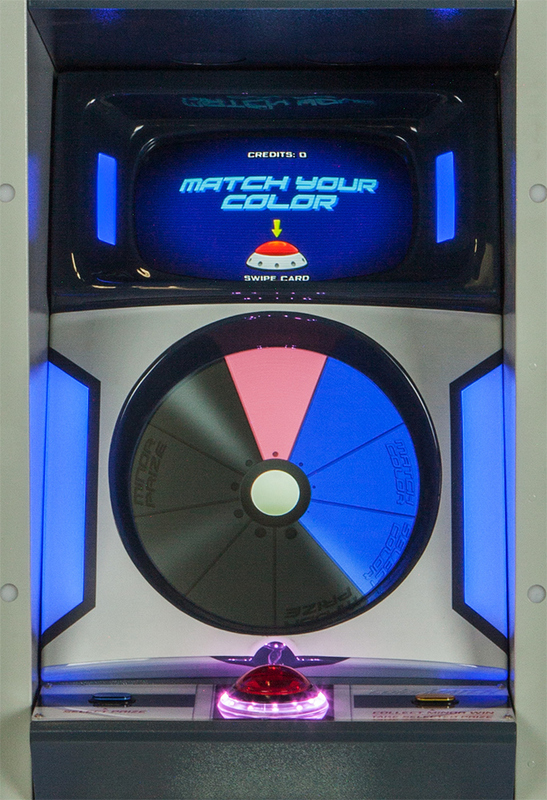 The quick and simple game play where players naturally match the colors of the on-screen rotating disk is both fun but challenging to master. 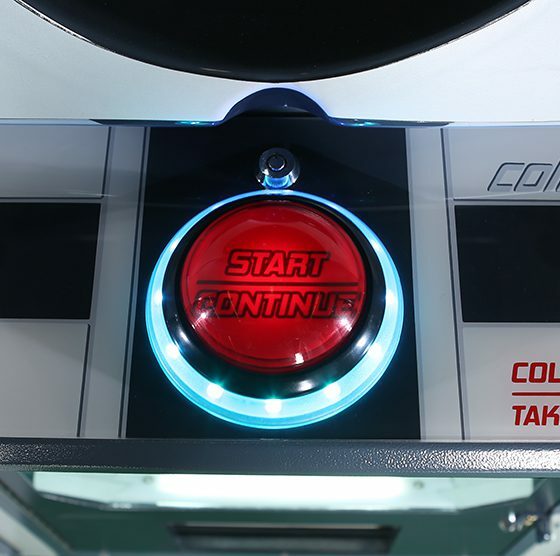 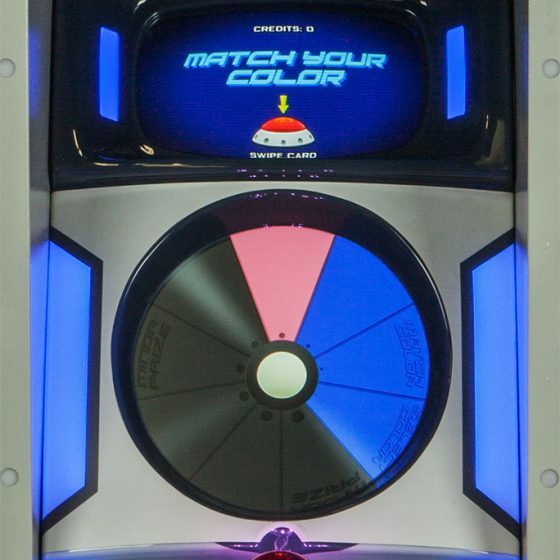 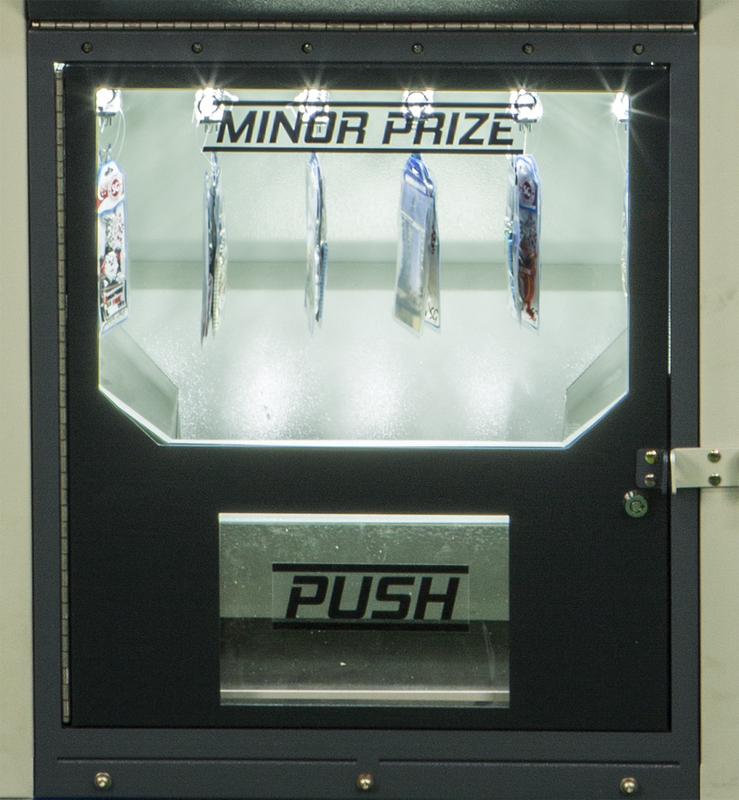 After five color matches players can choose the Minor Prize or risk it all to play on for a shot at one of the Major Prizes. 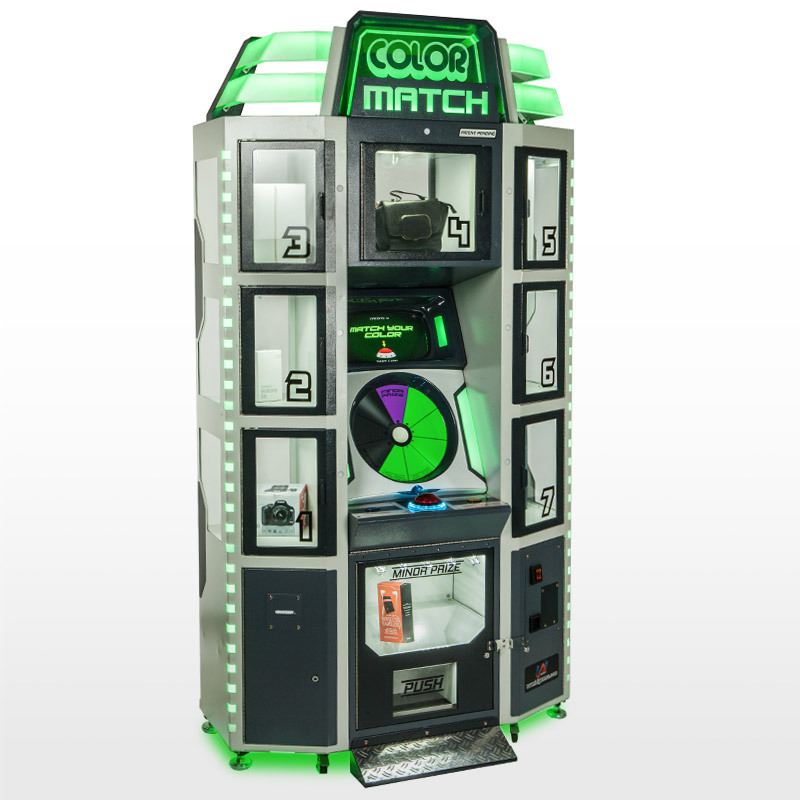 With an impressive set of features and simplicity of play, it’s no wonder Color Match is a top earner in locations worldwide. 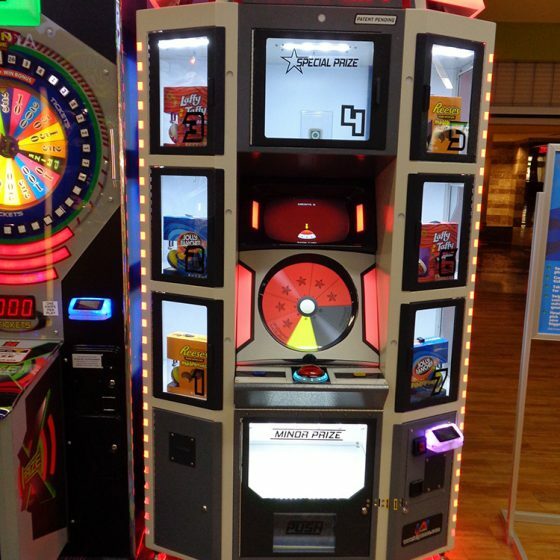 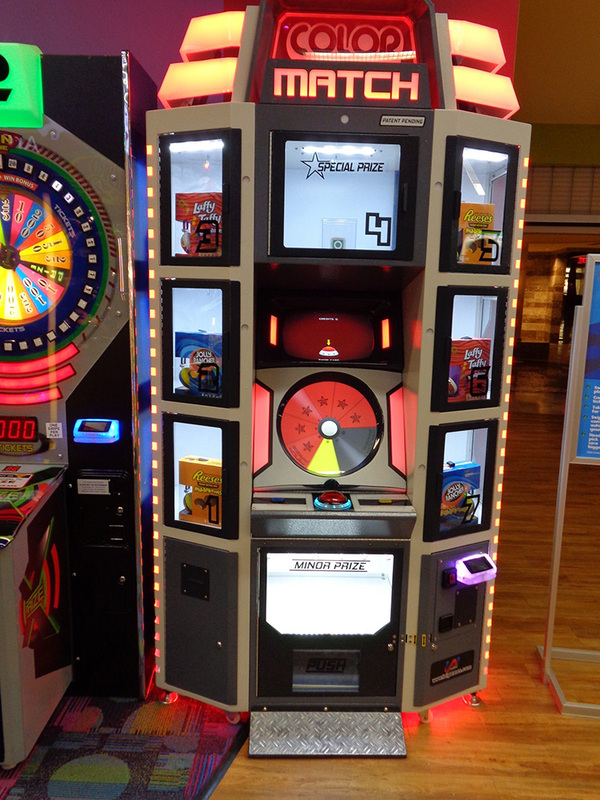 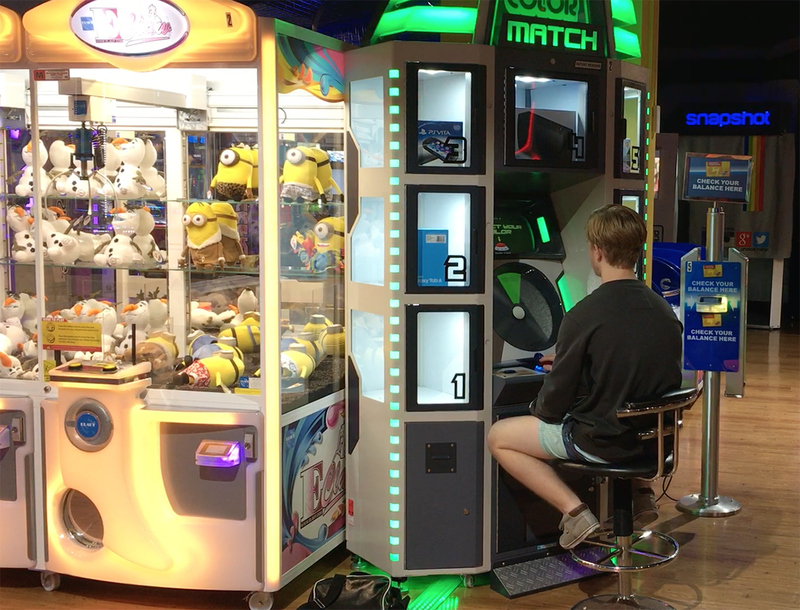 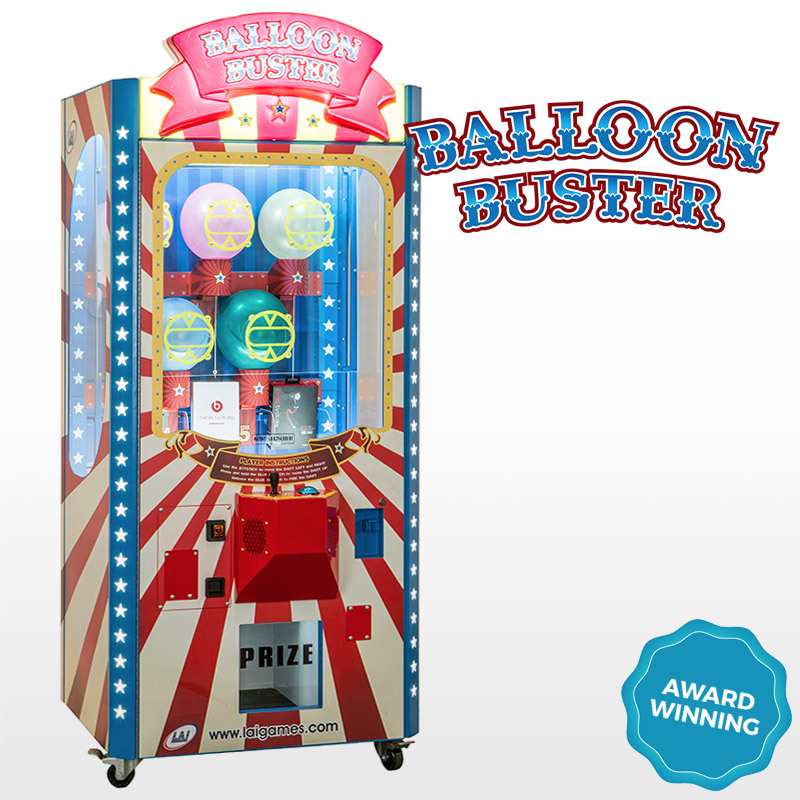 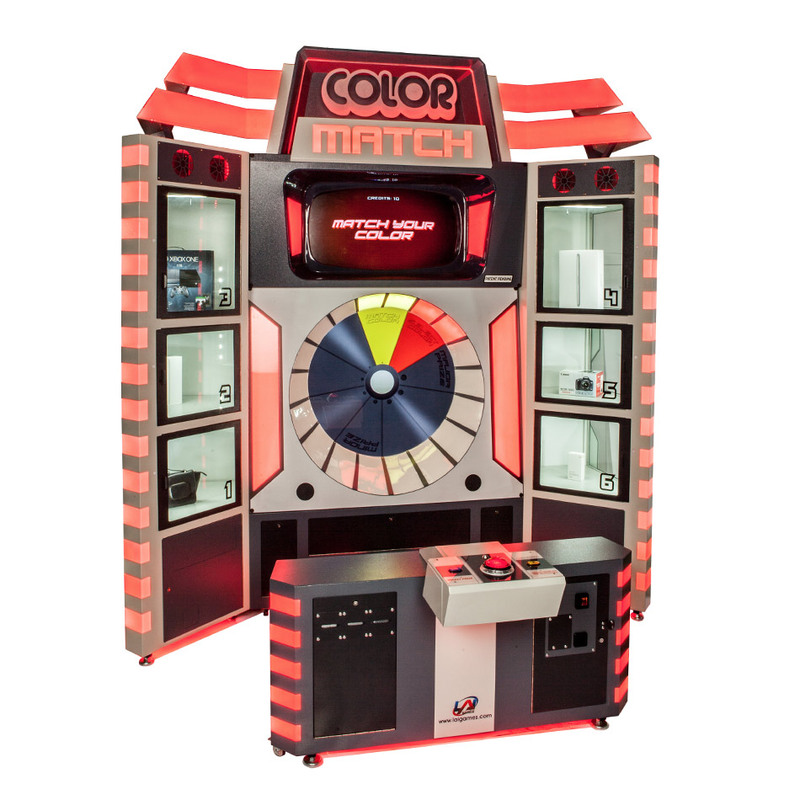 Mega Color Match is the top selling merchandiser version of our mega-sized hit game, It has six major prize lockers to securely showcase bigger and better prizes attracting a wide range of players. 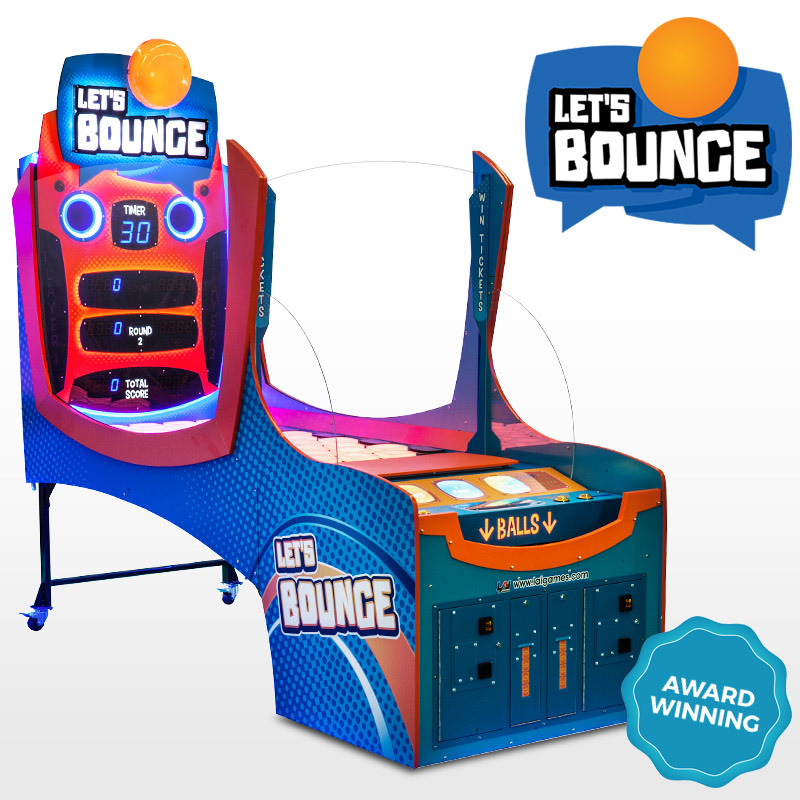 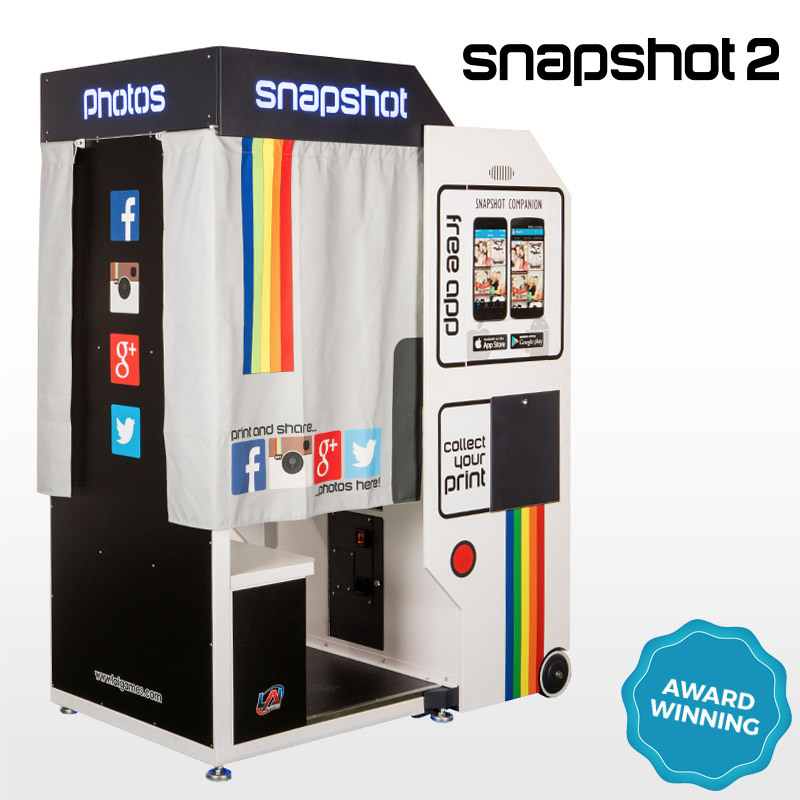 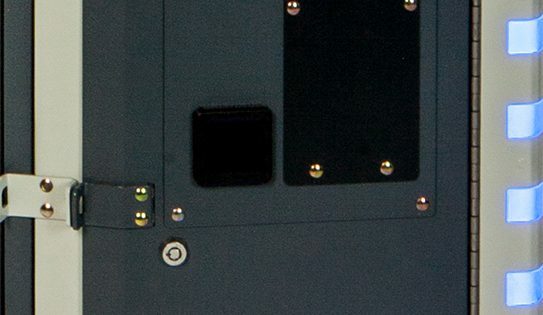 Its a real attraction for any large format entertainment venue. 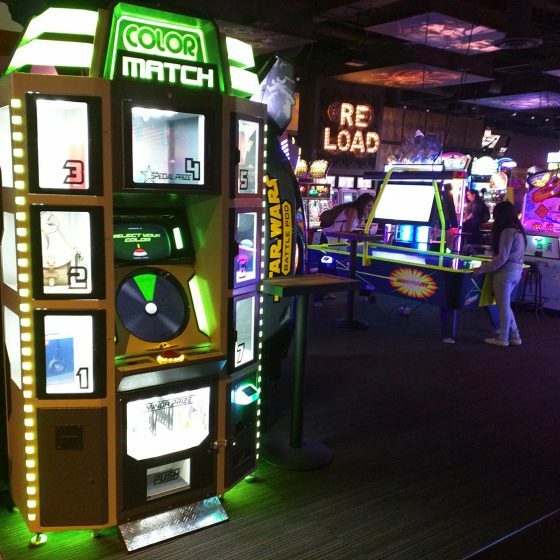 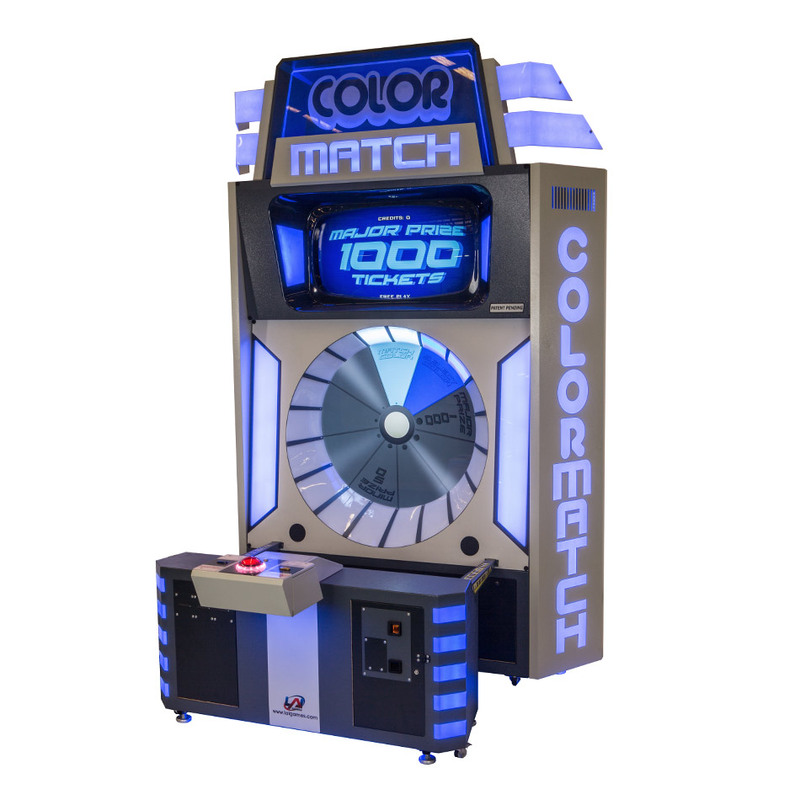 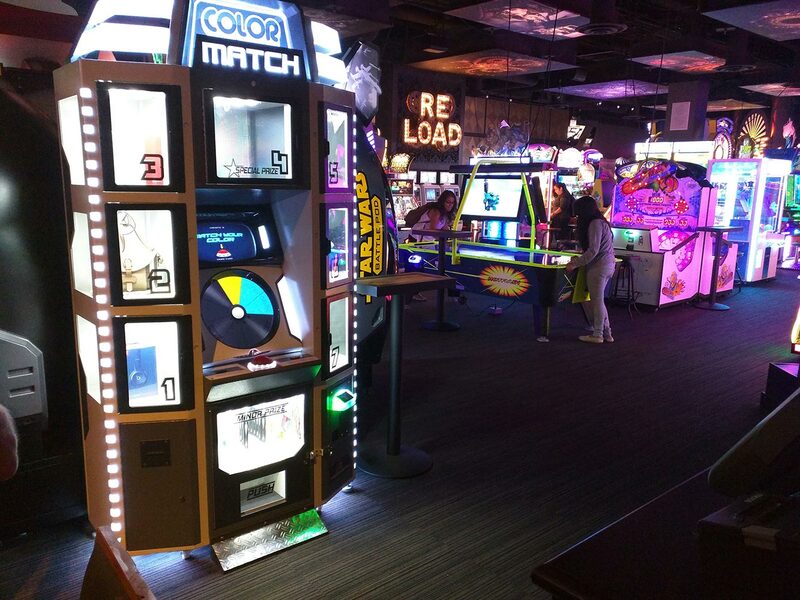 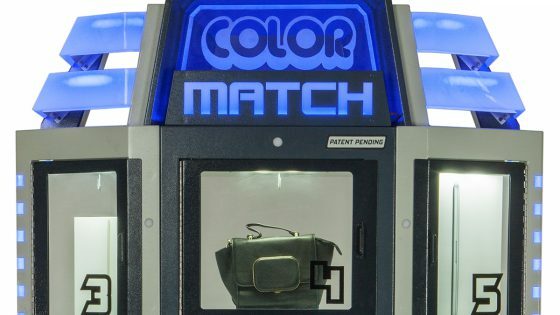 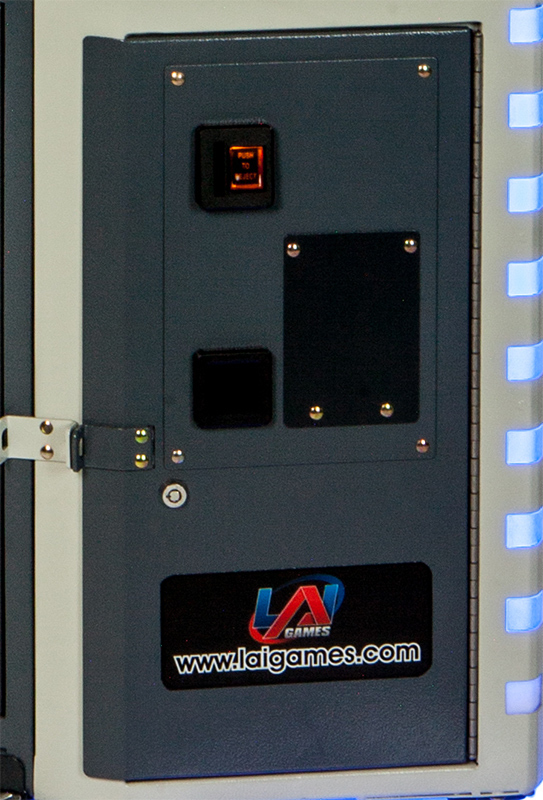 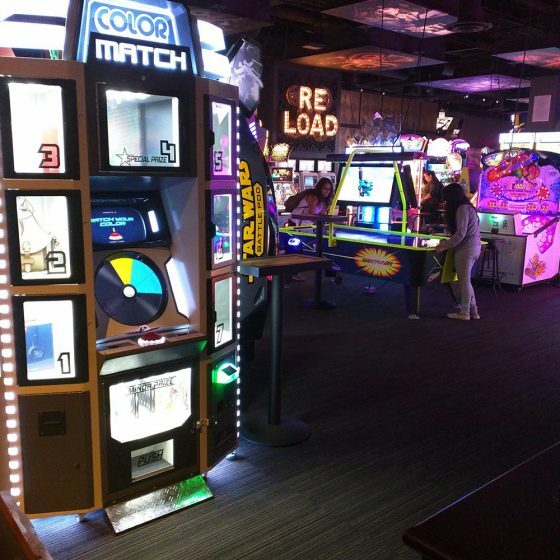 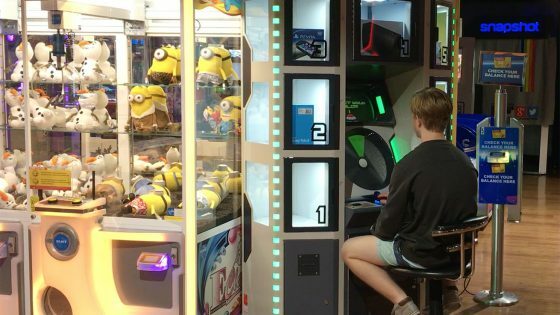 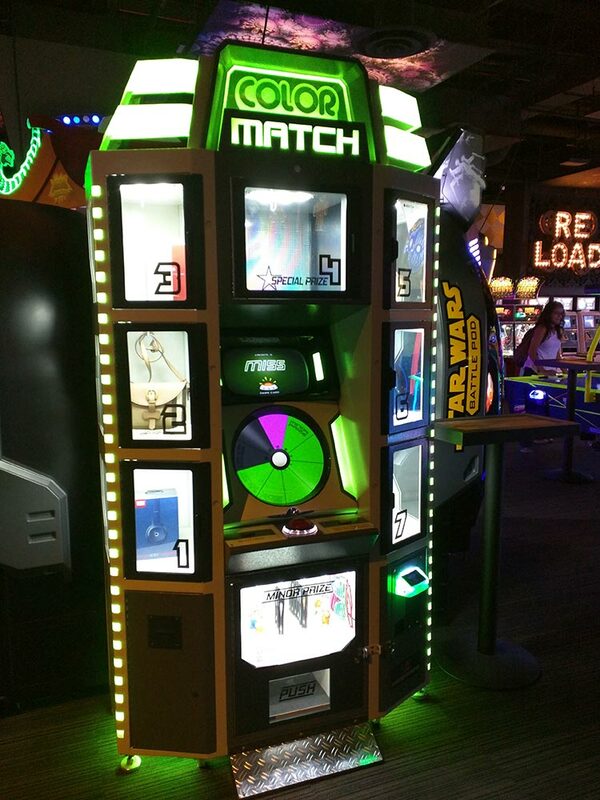 Mega Color Match Lite is the 100% ticket redemption version of our mega-sized hit game, Its smaller footprint and low maintenance operation makes it an attractive option for many operators. 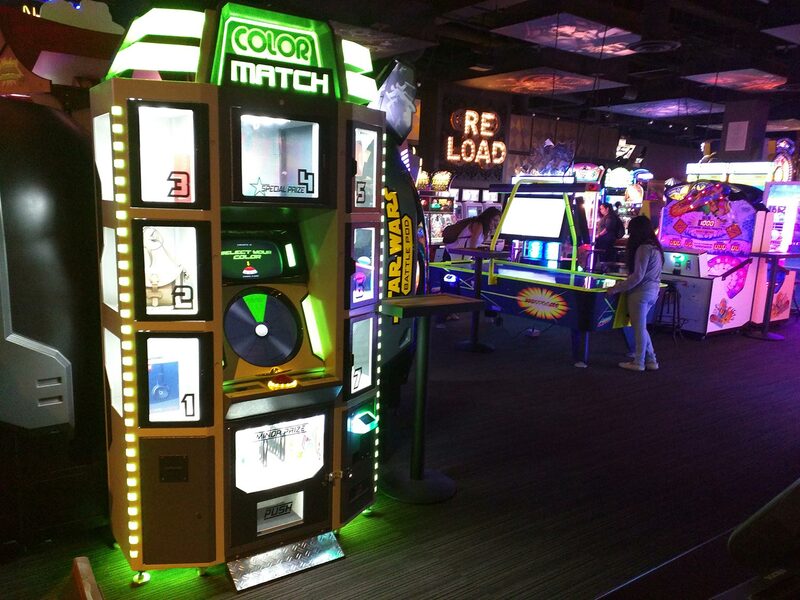 If you like Color Match, we recommend you also check out these games!